Early learning education includes a wide variety of supports and services that children receive before kindergarten. High-quality early learning is one of the best ways to close the opportunity and achievement gaps, which are already present by the beginning of kindergarten. Early learning is also one of the best economic investments we can make for our state. For every dollar spent on early learning there is a return of seven dollars or more, which comes from a variety of savings, including decreased costs for special education, grade repetition, and criminal justice. One of the reasons early learning is such a powerful investment is because the majority of brain development happens before age five. It is critical to provide children with the supports and education they need during their first five years. Children in high-quality early learning programs are more prepared for kindergarten, more likely to graduate high school, are healthier, more likely to be employed, and report higher income. They are also less likely to be repeat grades, be placed in special education, be involved in the juvenile justice system, and commit crimes as adults. Low-income children and children with risk factors who do not have access to high-quality early learning experiences are 40 percent more likely to repeat a grade, 29 percent more likely to drop out of school, 41 percent more likely to be placed in special education, 60 percent more likely to never attend college, 33 percent more likely to be arrested as a juvenile, and 42 percent more likely to be arrested for a violent crime, all of which require costly state resources. Early learning benefits add up to savings for school districts, taxpayers, and the state. School districts save about $3,700 for each low-income child or child with risk factors who receives early learning. There is an additional $1,000 of savings per child in costs outside of school like healthcare, drug prevention, and criminal justice. Home visiting involves ongoing home visits from registered nurses to low-income, first-time mothers so that they receive the support they need to provide care for their children, from birth to age three, and become more economically self-sufficient. Home visiting programs serve approximately 6,000 children per year. 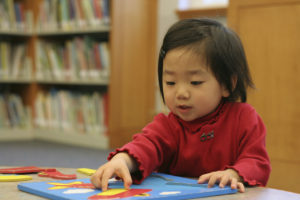 Childcare is primarily paid for by parents, but there are some programs for low-income parents such as Washington’s Working Connections Child Care. The program provides childcare vouchers to parents who are in school or working. There are 40,000–48,000 children in the program depending on the time of year. Early Achievers is a rating system for early learning providers. It is voluntary for childcare providers but in 2014–15 will be required for providers of the state’s preschool program for low-income children, Early Childhood Education and Assistance Program (ECEAP). Providers participating in Early Achievers receive incentives, resources, and technical assistance to help them improve their quality, and parents are provided information about participating providers. The program began in 2012 and now has over 2,300 providers participating. Preschool, or pre-K, is one of the main components of early learning. While there are a variety of different types of pre-K programs for 3- and 4-year olds, high-quality pre-K prepares children for kindergarten, academically, socially, and physically. 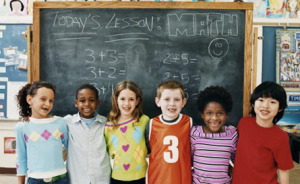 Numerous studies have found that children who attend pre-K have increased K–12 achievement and decreased rates of special education placement and grade repetition. However in Washington, only 40 percent of 3- and 4-year-olds attend pre-K. There are several pre-K programs that serve low-income or developmentally delayed three- and four-year olds including ECEAP and the federal Head Start program. Similar to federal Head Start, ECEAP focuses on the well-being of the whole child by providing comprehensive nutrition, health, education, and family support services. Approximately 50 percent of children eligible for ECEAP are served by the programs. This means that thousands of children that qualify for the programs are not being served and are at risk of starting school behind. State law requires full implementation of ECEAP by 2018–19, which means all eligible children who want to enroll in the program must be allowed to participate. In addition to early learning programs, there are also programs that help children and their families transition from early learning to K–12 education since the two education systems are often siloed and information about children is often not transferred. Washington Kindergarten Inventory of Developing Skills (WaKIDS) is a kindergarten-readiness process that welcomes families to school by having kindergarten teachers meet with them one-on-one to learn about their child. It also includes a whole-child observational assessment in the first seven weeks of school, which helps teachers learn about students’ strengths and challenges. WaKIDS includes all children in state-funded, full-day kindergarten, which is another component of early learning. In 2013–14, 44 percent of kindergarteners in Washington were in state-funded, full-day kindergarten. Some school districts provide full-day programs and in some cases parents pay for full-day programs. The law requires that by 2017–18 the state must provide full-day kindergarten to all kindergarteners whose families choose to participate. One of the biggest challenges to early learning is funding. There are often more children to serve than the programs have space for. In addition, the Working Connections Child Care reimbursement rate is so low that parents sometimes struggle to find a provider that participates in the program. Limited funding also means that ECEAP is not yet a full day for all children served by the program. Research finds that the number of hours children receive high-quality early learning education has one of the biggest impacts on achievement, especially for low-income children. In addition, pre-K in Washington costs more than in-state college, making it unaffordable for many. We must increase the number of children served, the number of hours children receive, and the quality of some programs. which many working families need. A long-term goal is to build an integrated, accessible early learning system, including birth to age three services, childcare, and pre-K. By increasing the state’s investment in early learning and being strategic about how we invest in early learning, we will see better outcomes for children, easier access for parents, and economic benefits for our state. During the 2015 legislative session, policymakers must pass the bi-partisan Early Start Act, which aims to increase the quality of childcare and preschool programs for low-income families in Washington through a combination of incentives and provider requirements. The Early Start Act creates tiered reimbursements, enhanced coaching and mentoring, and improves financial stability for early learning providers.